Sometimes the worst mistakes turn out to be the best… Smoke jumper Wilder Kane once reveled in the rush from putting out dangerous wildfires. But after a tragic accident, he’s cut himself off from the world, refusing to leave his isolated cabin. When a headstrong beauty bursts in, Wilder finds himself craving the fire she ignites in him, but letting anyone near his darkness would be a mistake. After her Hollywood life went up in smoke, Quinn Higsby decided to leave Tinseltown behind and return to Brightwater to care for her ailing father. She spends her days in a small bookstore, until her peaceful existence is up-ended by a fascinating but damaged man. 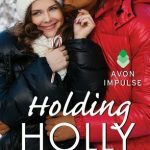 Quinn is determined not to be scared off by Wilder, not once she’s experienced the heat of his passions. But when an arsonist targets the community and Wilder is accused, he must confront the ghosts of his past. Will his desire for Quinn burn him up or will he be able to tame the wildness inside and rekindle a hope for their future? Can I just say I love author Lia Riley and her Brightwater series. Best Worst Mistake is the third book in the series and I quickly became caught up in Wilder Kane and Quinn Higsby’s romance. A touch of heat, a dash of heart and a nip of suspense made Best Worst Mistake a winner. First date: I was anxious to meet Wilder Kane after hints in the earlier book. A tragic accident has him living as a recluse in an isolated cabin by the lake. Quinn Higsby has recently returned to Brightwater and is dealing with some life changes. She works at the local bookstore and as a lover of books with an unstoppable sweet tooth, she and I are going to get along just fine. Riley hints at something from his past that causing him guilt and Wilder is grumpy and obviously hurting. However, the man ordered a Nora Roberts book and I plan to stick around to meet the man beneath his rough exterior. I am anxious for these two to meet. She is all sugar and spice and Wilder is a big old bear..this should be interesting!! 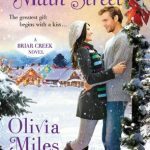 Second date: A snowstorm and a confused man force Quinn and Wilder to spend time together. I love this trope and have snuggled in. Everyone steps lightly around Wilder particularly his family so he does not quite know what to think of Quinn. She never stops talking and is not the least bit intimidated. It is hilarious. I can just see his eyes rolling to the back of his head. Right away, I love the banter between these two as Riley fleshed them out and shares their stories. An unexpected invitation has Quinn joining the Kane’s Thanksgiving and we shared several awe moments with these two as the attraction builds. Gads, I love interfering siblings. Don’t you? Riley adds in a little suspense to this second date when an arsonist begins setting fires. Quinn is struggling with a secret and things are heating up. The relationship begins with attraction, but it slowly develops into something more. Quinn has a positive effect on Wilder and while I thought his turnaround was a little fast I do believe that some folks shine brightly and that they can draw people to them. Quinn is that type of person. I loved seeing her handle Grandma and Wilder, it was hilarious. Third date: OMG, who knew Wilder was such a romantic. I loved discovering that beneath that grumpy façade there was this big old teddy bear. I swooned my friends and when you see Wilder’s idea of a date I am telling you, he will be your next book boyfriend. A little suspense, danger and Quinn’s secret propel us towards our HEA. Riley creates just enough tension and allows her characters to grow without putting her readers through the wringer. If you like a light romance, with a dash of heat and a few twists this read is for you. Our third date ended with an epilogue that had me grinning and I ended this date with a satisfied smile. Best Worst Mistake was another delightful edition in the Brightwater series. The Kane brothers are all swoon worthy. We did get updates on earlier couples, but each book works as a standalone. I recommend reading them in order since as it will enhance each story. This one sounds interesting! I entered the giveaway and hope to have the chance to read it. My book budget is so thin these days and I’m looking for more truly entertaining books to read. It seems like recently so many have fallen short, but Best Worst Mistake actually sounds like something i’d really enjoy! Good luck with the giveaway. A lot of times these books will reduce in price but I understand when you are on a budget making good choices. I have my fingers crossed that my library gets this series for me. I’ve requested them and they are pretty good at getting what I ask for. I need to read that series. I have book one ! Oh I envy you marathon abilities I need to wait a few books in between, although to be honest I have never tried it with romance. I tried it with Urban Fantasy and found I rushed too much. Gosh you make me want to read this! I put it on my GoodReads list-thanks! Hehe Bibliophiles with sweet tooths (teeth?) unite! 😉 I love the sound of breaking through to Mr Grumpy Wilder…especially since he’s a romantic. 😉 And something tells me I have a lot in common with Quinn. Great review! Yeah I like Quinn. Nothing wrong the with sweet tooth. Oh it’s so nice to have a romance like that and I totally agree with interfering siblings!!! Quit trying to make me read more holiday books. I do like a grumpy dude, though. I was looking for a new series to read. Thanks!! This sounds like a great read Kimberly! I like banter between characters, and how Quinn is all chatty… I’m sure I would’ve been rolling my eyes too! LOL, she was adorable and didn’t put up with his gruff. This looks like a great series… I bought book #1! Can’t wait to read it! Thanks for sharing. Nice..I hope you enjoy it and decide to read them all! Glad to hear this one was a winner. I recently picked up the first two and can’t wait to get into the series. Great review!! That is awesome too hear. I look forward to your take on them Grace. Characters trying to find new starts, witty banter AND a bookstore? I cannot resist! This sounds like lots of fun! I LOVE grumpy heroes!!! Or is it Heros? Nope, it’s Heroes… I’ve seen Lia Riley around, she’s quite prolific, no? I will have to enter and hope to win AND not pass up the ARCs when I see them!!! Grumps ARE romantics!!! Swoon! I am thinking this is her first series Kristin, but they all released this year. Yep, Grumps are romantic and it is heroes. The stuck together during a snowstorm ones can be so good. Ahh, a cranky guy and fireworks. Sounds good! I like the sound of the grumpy man with a teddy bear side, and romance and snark, yes please. It will work as a standalone, but with Grandma and the siblings it’s always nicer if you start from the beginning and since this is the final book it won’t be hard. The grumpy old bear sounds pretty dreamy, actually 🙂 And yes, I want to be best friends with Quinn – books & sugar can be our thing! He was..and he reads Ramona. I guess I’ve been in a sort of fantasy/sci-fi craze as of late since I’ve barely touched contemporaries, but this sounds cute enough. Love the romantic love interest under the grumpy facade! Oh I have been weaving science fiction, horror and urban fantasy in between these romances. Oh my gosh, this book is just adorable. I still have to read book one in the Brightwater series, but I loved books 2 and 3. I also loved that the heroine’s name was Quinn (for obvious reasons). I loved grumpy Wilder who totally did have such a romantic side. Such a good book! Yeah…he was sweetie underneath. 🙂 Yes…I can see why you would like a heroine named Quinn. The fact that she works in a bookstore made it even cooler. Yes, please! Smoke jumper (have read books about them before) and a cabin-bound recluse sound intriguing and fun! Thanks, Kim. It was a lot of fun Rita..I loved the blend of banter, suspense and romance, plus she weaved in growth. Kim this sounds right up my alley. 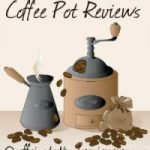 Thanks for the review/showcase and giveaway! I love when grumpy heroes turn into mushy teddy bears. How cute! I haven’t read anything by this author but I am excited to say I am reading and reviewing this one for Fresh Fiction very soon! I can’t wait to get my hands on it, either. *rubs hands in glee* Glad you enjoyed it!! Romance with a dash of suspense is just my cup of tea! And I’m really in the mood for more romance this season!! I love the cover, the blurb, and that excerpt. I’m reading a book now about firefighters (Smoke)…it’s hot! LOL. Great review! Ooo I do like a firefighter too Laurel. Moore has a hot, hot fire series set in Chicago. I asked on Goodreads, and right now she is not contracted for more..but that could change. Nothing brings people together better than being trapped in a cabin during a snow storm. Sounds like a great steamy read. Not overly detailed Tyler, it is more fade to black but warm and fuzzies all around. Yes…I can totally seeing you loving this book and series Jenny! oh I just can’t wait to read this one. I have the second one that I am hoping to read soon, but I would love to read this one for the holidays coming up. Seems just right. Great review….your thoughts on it have me super excited to read this author. Enjoy, the second one is good too! Sounds like an interesting series, I like the mix of romance and snark! Thanks for mentioning that they should be read in order too. Thanks Trish, I enjoy these small-town series and this was a fun one.